The non la is one of the iconic images of Asia, but for many it solely represents the glorious country of Vietnam. 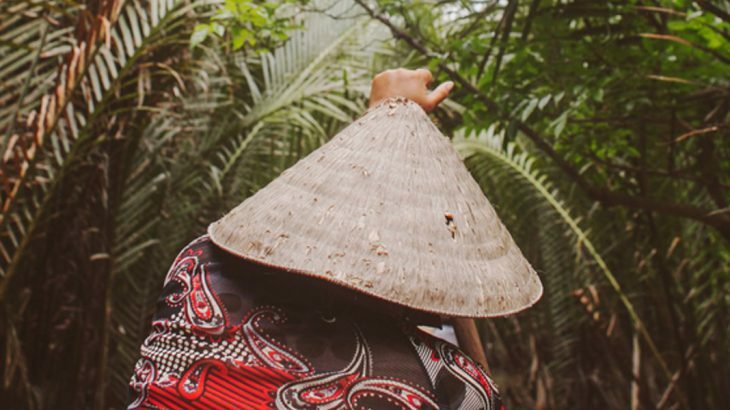 This famous headpiece is known by a variety of names – cone hat, conical hat, paddy hat and leaf hat, to name just a few, and is used by locals as protection from the sun and the rain, as well as a makeshift basket and even to collect rainwater. It is also often transported carefully home by many a traveller returning from their holidays to Vietnam, the perfect souvenir of their trip that will hang on a wall or sit on a shelf which, when glimpsed, will transport them back to those lush green paddy fields. Once upon a time, a giant woman in the sky watched as a deluge of rain poured down on humankind. The giant took a hat of four round leaves, shaped in a cone, and with it on her head, stood over mankind to protect them from the rain. 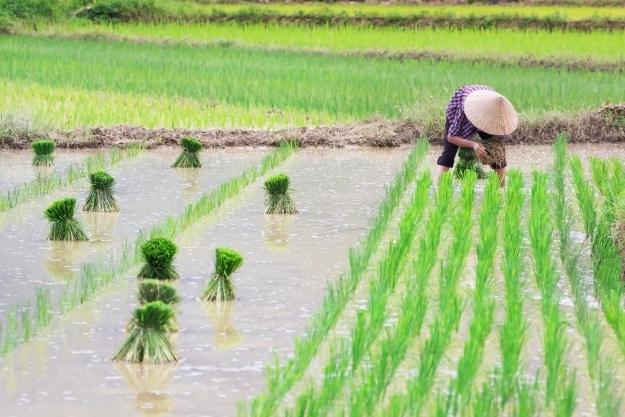 Many decided to follow her and she taught them how to grow and tend crops, such as rice. One day, when humankind drifted off to sleep, the giant slipped away quietly and did not return. Her followers built a temple to the ‘Rain-shielding Goddess’ and recreated her hat by stitching together palm leaves, eventually creating the hat we know and love. Today, the hat is still handmade from simple materials such as palm leaves, bark or bamboo and is generally associated with fishermen and farmers, such as those who farm the rice terraces of Sapa or cast their nets in the bay of Nha Trang– people who have for centuries been making their living working out under the beating sun, or the lashing rain of Asia’s tropical climate. The need for intricacy is essential in the production process, as all the leaves must be sewn onto a frame tightly enough to be waterproof. 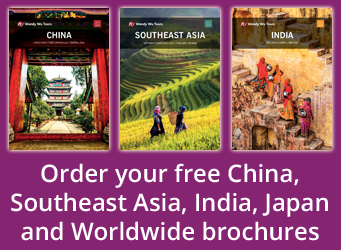 There are whole villages dedicated to their production – the perfect place to pick up one as a souvenir if you can, or you can look out for the workshops in places such as Hanoi and Nha Trang. But now the non la is no longer just for those who work outdoors, it has also become a fashion statement, used in fashion shows by Ralph Lauren, sold in American clothing stores and seen on the likes of Lady Gaga. The non la has become so integral to Vietnamese culture that it is now part of the national costume. There are regional variations across the country, each area attempting to make their non la more beautiful than the next with colourful stitching and patterns. Hue, the old imperial capital and birthplace of many of Vietnam’s cultural icons, has one of the most intriguing – the non bai tho or ‘poem hat’ which incorporates lyrics into the layers of leaf material when it is made, which only become visible under sunlight. So now when you go to Vietnam and buy your souvenir non la, or if you already have one at home, you can now share the story of where it came from. Or use it to catch rainwater…either way. 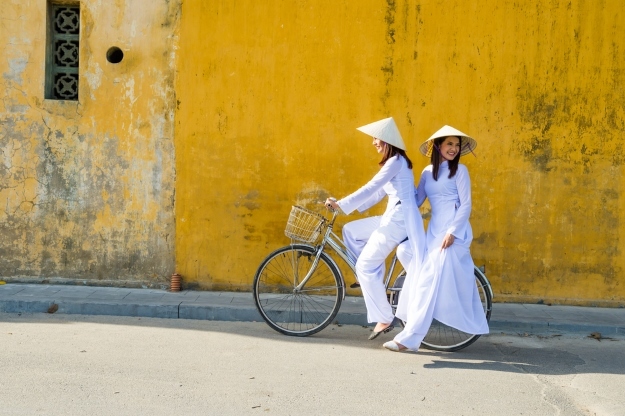 Book an escorted tour of Vietnam with the UK’s leading Asia Experts, Wendy Wu Tours. 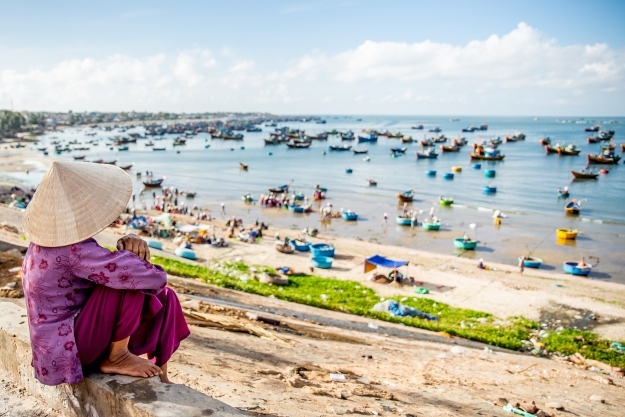 Our fully inclusive tours visit all the major sights of Vietnam for an unforgettable holiday. Vietnam culture, history, shopping, Vietnam. permalink.